Fun finger puppets. Beastly bookmarks. Stickers. Monster fun to sink your claws and fangs into. 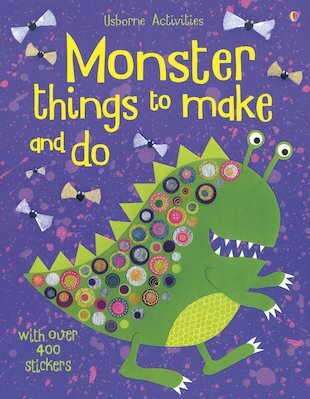 A brilliant book of craft activities for all you little beasties. What would you like to make first? Finger puppets, wobbly monsters, a monster mask. Or perhaps a brilliant painting, or a sticker scene. With heaps of ideas and over 400 stickers, this book is packed with monster mayhem. Bright pictures and clear step-by-steps make it all really easy too.